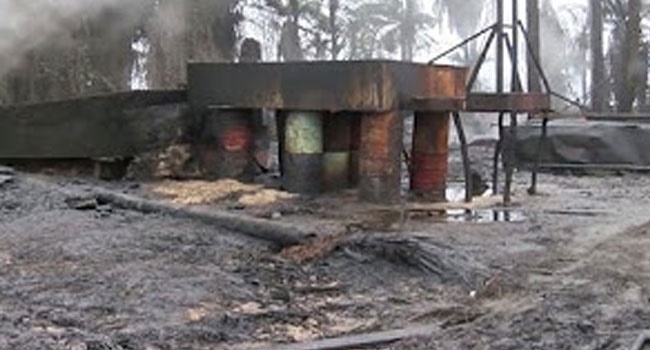 Illegal refinery operators mostly in Nigeria's oil-rich Niger Delta region may enjoy a period that is free from military interferences, if a directive by the House of Representatives will be obeyed. Lawmakers had, during Wednesday’s plenary urged the military to desist from destroying illegal refineries and adopt a global and a more standard system of dealing with it. The demand was made after members of the House adopted a motion by Chidi Wihioka on the need to address the menace of hazardous soot causing panic in Port Harcourt. 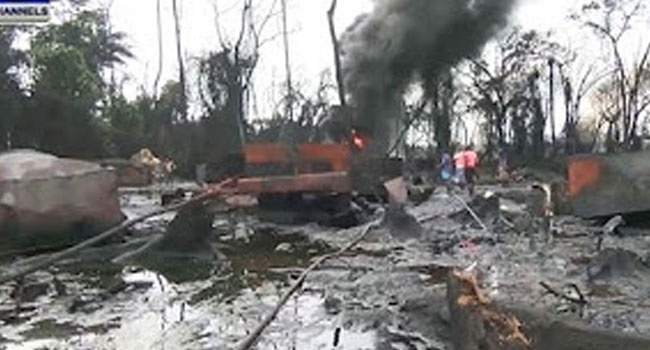 For over two months, residents of Port Harcourt and neighbouring communities have expressed concerns over soot usually noticed on objects within the area, which had been linked to burning of illegal refineries, illegal refining of crude and related industrial operations around the area. Several cases of hospitalization of individuals have also been reported. In the motion deliberated on by lawmakers, Mr Wihioka also highlighted that burning of the illegal refineries was partly responsible for the soot challenge. He explained that soot was fine particles composed mainly of carbon produced by incomplete combustion of oil, wood and other fuels. He said it consisted of acid rain, metals, soil, dust, and was causing serious panic among residents of Port Harcourt. "It makes the people sneeze and cough out black substance after inhaling it," he said. Wihioka told the lawmakers that the presence of the soot was noticeable on spread clothes, parked cars, water stored in drums and when a white handkerchief was used to whip one’s face or to sneeze. The News Agency of Nigeria quoted him as saying that if the soot entered the bloodstream of an individual, it could cause a wide array of health challenges, especially respiratory issues like shortness of breath, bronchitis, asthma, stroke, heart attack and cancer. In his contribution, Deputy Speaker of the House, Mr Yussuf Lasun, said that burning illegal refineries was not a solution to the problems in the coastal areas. Lasun said that no Nigerian had complained that the petrol, kerosene, diesel and other products from the illegal refineries were inferior to the imported products. He said that it was high time government sat with the operators of the illegal refineries to develop modalities for standardising them. According to him, if the technology is developed, local companies could independently take over the oil sector without depending on foreigners. Lasun said that a country could develop either through agriculture, technology transfer “or development of local technology’’. After the debate and adoption of the motion, the legislators urged the Federal Ministry of Environment and the Federal Ministry of Health to constitute an emergency team of experts to identify the source of the soot and propose remedy. They asked the ministries to create awareness on the effect of the soot, adding that the National Emergency Management Agency should offer first aid measures to the people. In his ruling, the Speaker of the House, Mr Yakubu Dogara, mandated the Committees on Environment and Habitat and Healthcare Services to ensure compliance and report back within four weeks. Critics have always questioned the essence of destroying illegal refineries in the south-south when there is insufficiency in production of refined petroleum products in Nigeria. Refineries in the nation a producing below capacity, forcing the oil-rich nation to rely largely on imported refined petrol to meet daily need.